Well farming can be a dirty job, but someone has to do it. Let's face it when you work outside most days with the land, dirt is just a reality especially when water is involved and it turns to mud. and there is a hole in your boot. 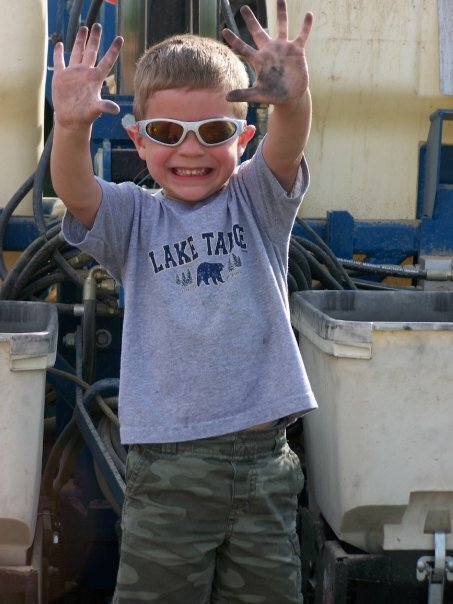 In fact, Bubby always finds a way to show that farming can be a dirty job. In all honesty though, the job that many people might think is the dirtiest job on our farm is in fact a job that doesn't get you dirty at all, most of the time. I've talked about it before, but we actually recycle our pig's manure so even though it deals with poop, it's really not too bad of job. And it is just one of the ways we are green on our family farm. 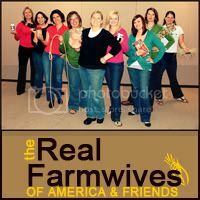 If you want to hear more about the dirty jobs on our family farms, be sure to check out The Real Farmwives of America and Friends as today is a special Farmer Fridays with themed posts from all of my fellow farmwives and friends. Your little boy is adorable! He needs one of those shirts that says something about loving dirt! We also recycle our manure from the hogs. It gets spread on the fields every spring. Enjoyed reading all the Dirty Job posts! We were knee deep in trenches last year with the garage and sun room projects. 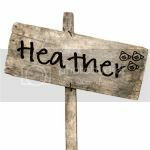 Don't miss that at all!